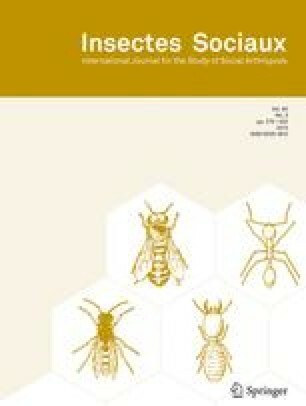 Male production was studied in four queenright M. favosa colonies by permanent and long duration observation of egg-laying and subsequent bee emergence. Workers produced males in all colonies; they produced 94.5% of all males. Key words:Melipona, laying workers, male production, sexuals. Received 8 September 1998; revised 9 November 1998; accepted 20 November 1998.